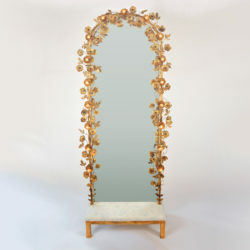 Free-standing mirror with flower lights. 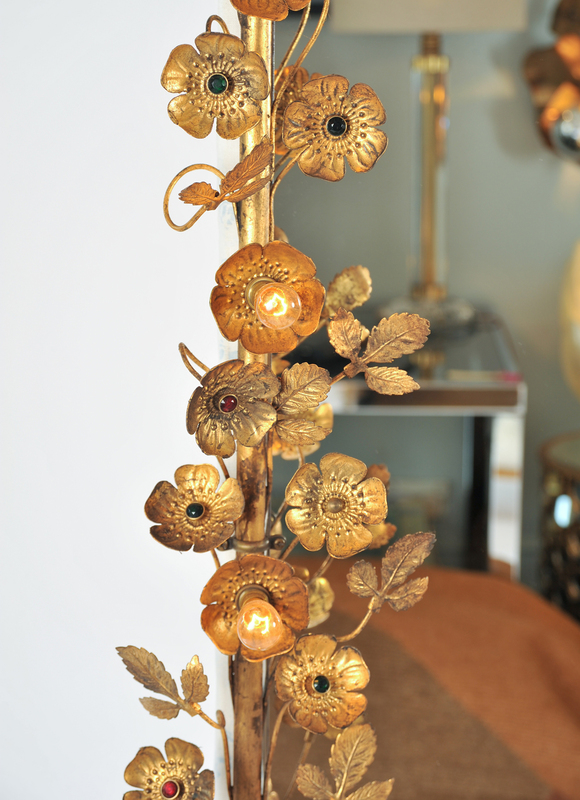 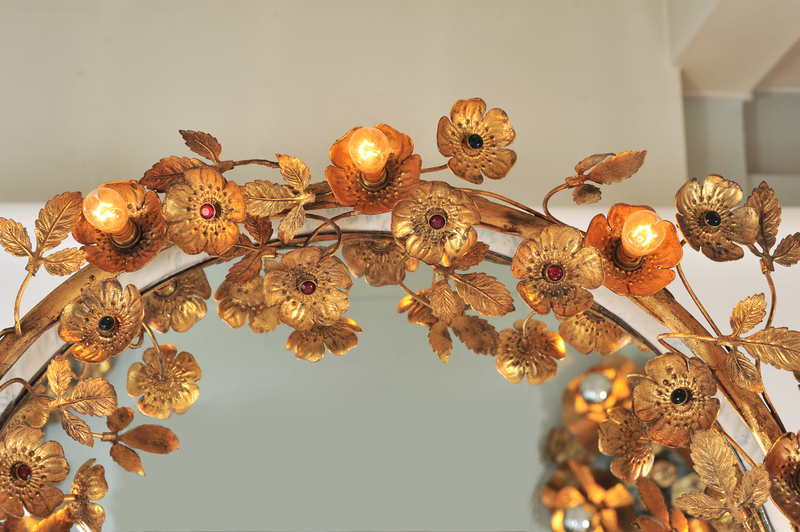 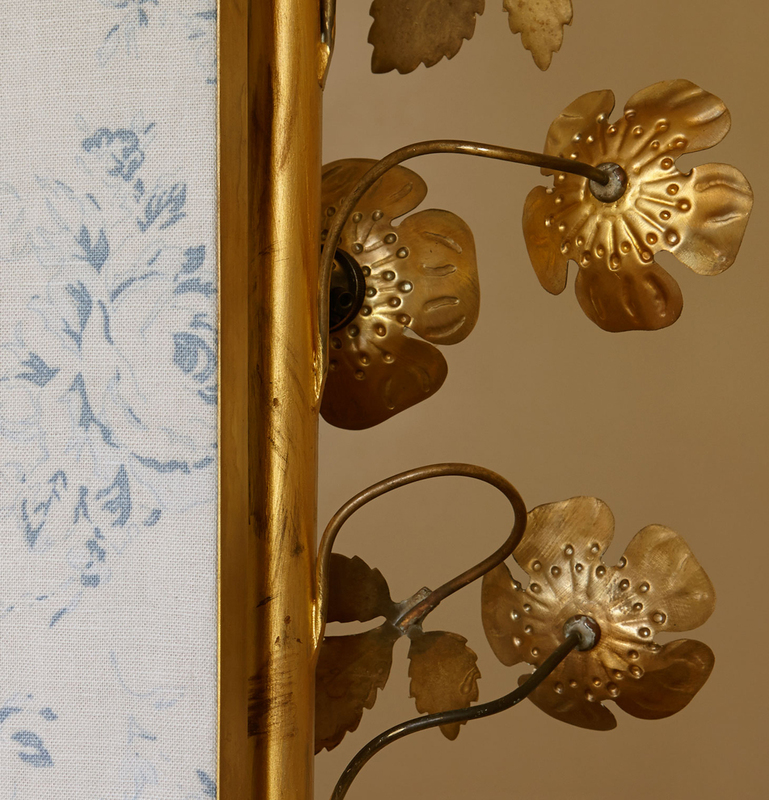 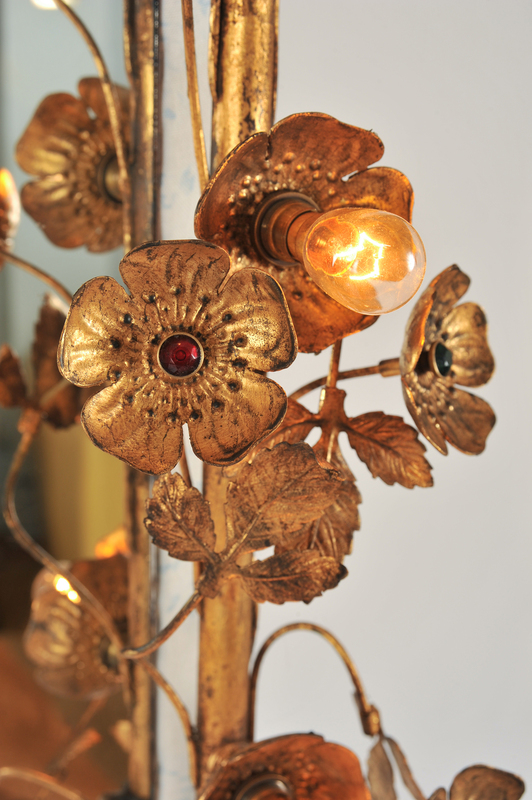 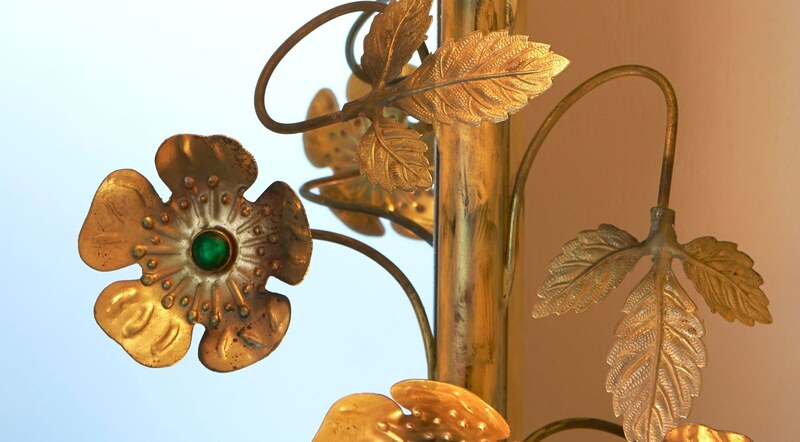 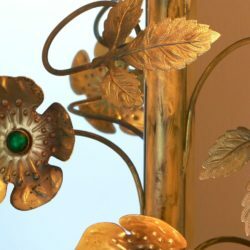 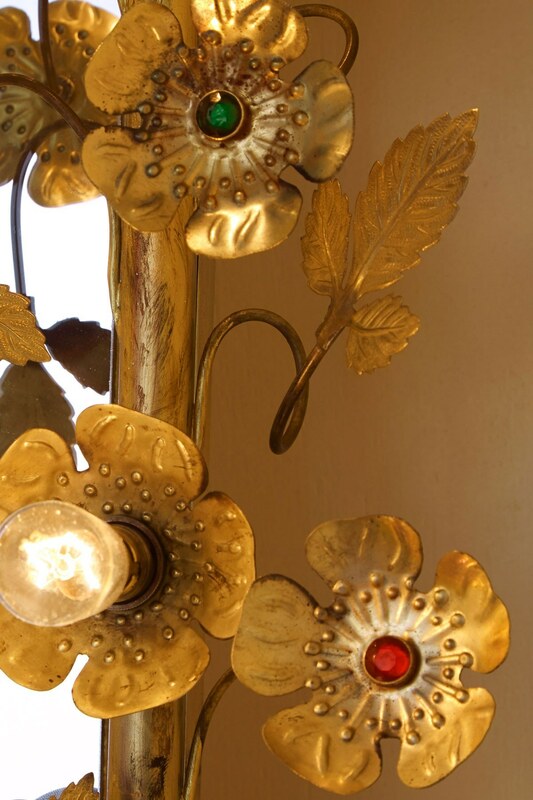 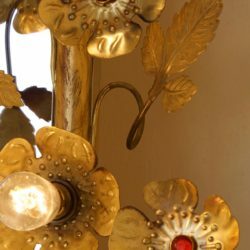 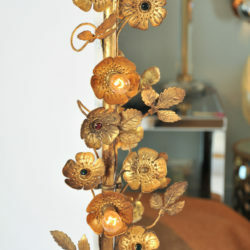 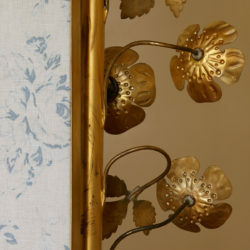 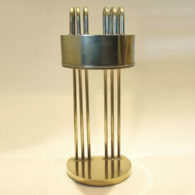 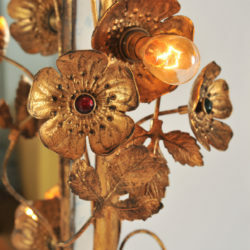 Delicate gold brass flowers and leaves encircle our dramatic free-standing light mirror. 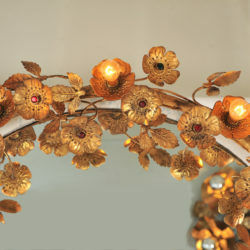 Each flower is finished with a ruby or emerald centre unless it holds one of seventeen subtle light up flowers. 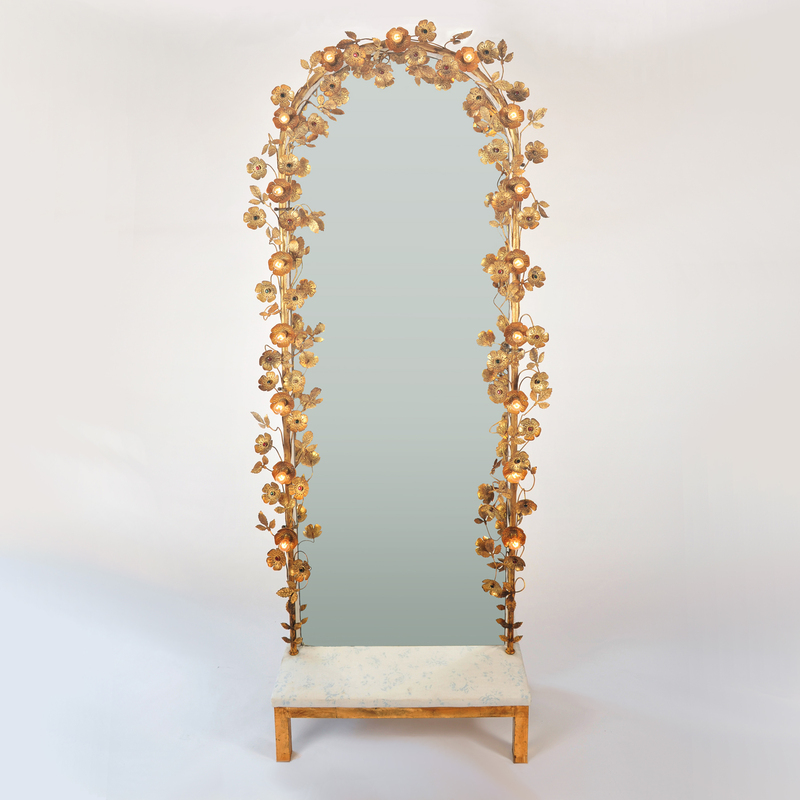 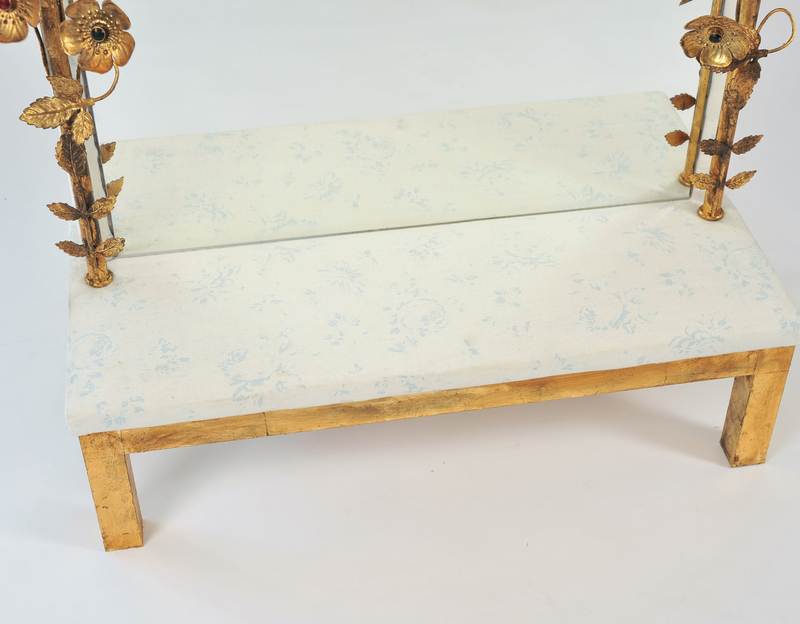 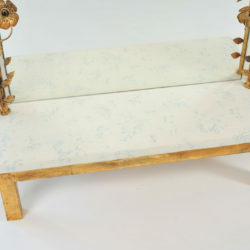 This large flower mirror rests on a gold wooden base and is backed in floral linen. 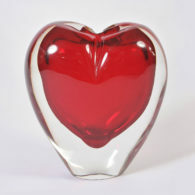 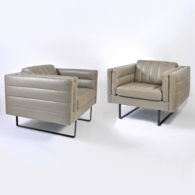 Can be made in any size. 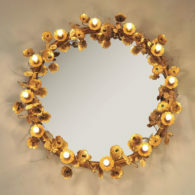 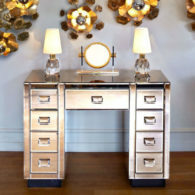 Mirrors with lights are perfect for dressing you and your home.